Addiction does not only impact the addict. In fact, the repercussions for family and friends are often even worse. Many loved ones believe that once the addict leaves the treatment facility, everything will rapidly improve. However, recovery is a lifelong process, for both the addict and everyone in their lives. Addiction puts a major strain on all of an addict or alcoholic’s personal relationships, and the closer the relationship, the greater the strain. As the addiction grows stronger over time, it gradually comes to dominate every aspect of the addict’s life, especially their relationships. Eventually, every interaction between loved ones and the addict become influenced by their addiction in some manner. Family and friends often try to convince their loved one for months, or even years, to attend rehab. Rehab becomes a kind of magic cure all. Many come to hope or believe that once their loved one returns from rehab, all of the problems in their relationship will dramatically and immediately improve. While rehab is certainly an absolutely critical first step in recovery, it doesn’t solve every problem, and it can actually create new obstacles and challenges. The truth is that recovery is a lifelong process that dramatically changes things for someone in recovery on a daily, if not moment-to-moment, basis. Often, recovery will change an individual’s goals, expectations, behavior, and even personality. In turn, this can cause changes in loved ones and relationships. It can also force two people to confront underlying issues that were long masked by addiction. One particular challenge that many loved ones face is knowing what to do. They want to help, but they just don’t know how. This is especially true for those who in the past may have enabled addictive behavior. While every addiction is different, there are some general guidelines that will be helpful in most circumstances. Addiction and alcoholism are very complex, and recovery is one of the greatest challenges of most individuals’ lives. The best way a loved one can help an addict is to educate themselves on the many aspects of addiction and recovery, such as potential triggers, health issues, enablement, the recovery process, and the psychological changes that addiction causes. 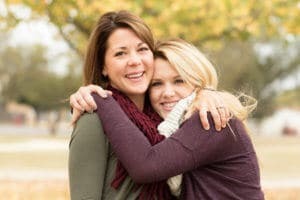 Loved ones will find it much easier to relate to and assist a recovering addict if they understand addiction, and they will also be much better equipped to help prevent relapse. Addiction creates many lasting problems, both for addicts and their loved ones. While sobriety will improve all of them, many will still be present during recovery. Financial problems are common, especially as the recovering addict tries to rebuild their career and pay off addiction related debts such as DUI expenses. Health problems caused by addiction are some of the most serious, and some, such as HIV, are permanent. Relationship problems can be the most painful; it can take years to rebuild trust, and in some cases, it just isn’t possible. Additionally, relapse is always a possibility, even after many years. Understanding and preparing for these problems will make it easier to deal with them and lessen their impact. The major desire of anyone who loves an addict is to see them clean and sober. There is also a belief that the addiction is the source of all the problems in the addict’s life and their relationships, and it is commonly assumed that merely by attending rehab someone is “cured.” Unfortunately, neither is true. Many loved ones find themselves disappointed by a recovering addict and the progress that they’ve made, or haven’t made. This is especially true when relapse occurs. It is definitely best to avoid disappointment, because the recovering addict will sense that disappointment, which will in turn make them feel hopeless and more likely to relapse. As addiction grows, loved ones often find themselves giving more of themselves than is fair. They often take up more and more of the slack, financially, emotionally, and with regards to responsibilities such as chores and childcare. This often continues in recovery, particularly in the early days when the recovering addict is focusing on rebuilding a new, sober life. However, this can also be exceptionally draining after a while. Often, friends and family of addicts devote so much of their time and energy into helping someone that they neglect themselves. This is actually counterproductive. This is incredibly unfair and creates resentment and bitterness, which the recovering addict senses and makes them more likely to relapse. One of the biggest issues with enablers is that they set boundaries, but then let their addicted addict violate them. This lets the addict believe that the boundary setter is not serious and not someone to be respected. In the future, they will disregard any boundaries, and often that person entirely. That’s why it is critical to not only make clear, firm boundaries of what is and what is not acceptable, but also to firmly enforce them. 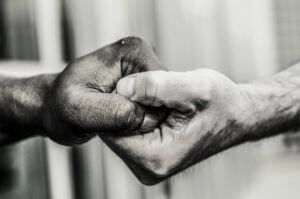 There may be some initial bitterness and anger, but over time the recovering addict will come to respect and be grateful to their loved one. Consult with other friends and family to see if they share your concerns. Express your concerns in a kind, caring, and non-judgmental manner. Suggest that they contact their sponsor, or contact their sponsor for them. Encourage them to attend a support group meeting. Suggest that they contact their therapist, or contact their therapist for them. Addiction is a terrible condition, and it is especially terrible for the loved ones that live with an addict or alcoholic. Luckily, recovery is possible. Every year, millions of Americans find the help that they need to get started living a better, sober life, the life that they are supposed to be living. You know what it’s like to live with an active addict, now it’s time to find out what it’s like to live with a recovering alcoholic. Contact us now to speak with a treatment expert who will help you find the right rehab to start your loved one’s sobriety journey. Previous PageHow Do I Choose the Right Rehab? Next Page How Long Does Detox Take?